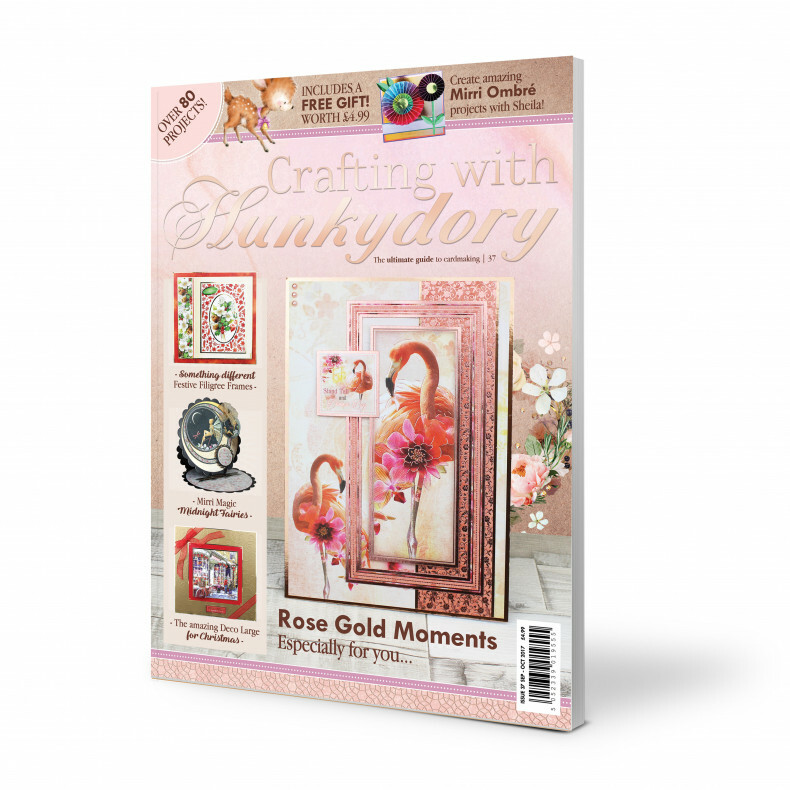 This 84-page bi-monthly magazine includes inspiration for over 80 different projects from a wonderful variety of Hunkydory launches, including the new Christmas themed Craft Stacks, the gorgeous Moonstone Dies, Adorable Scorable Marble and much more. Inside you will find a ton of well-loved features including articles by the Hunkydory in-house demonstrators, such as Readers Gallery, Sketch Challenge, Your Letters and more. This issue even contains some fantastic features, including a Beginner’s Guide to using Glitter in cardmaking, and an interview with our brand new creative team member Sheila Halliwell! Crafting with Hunkydory also includes a FREE exclusive Oh Deer Papercraft Kit worth £4.99. This super cute kit makes a minimum of 5 cards when using the cardstock as card blanks. The beautiful imagery centres on sweet deer’s in fun scenes, with a gorgeous soft colour palette of blues, purples and pinks perfectly accented by stunning rich gold foiling. The collection features a stunning pink colour scheme, with luxurious rich gold foiling accenting the imagery and bordering the elements. The collection features an amazing 49 Foiled & Die-Cut elements overall, with an amazing range of topper shapes, sentiments, borders, tags and much more.